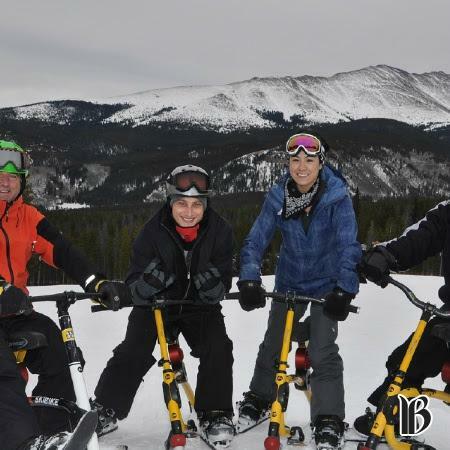 Rent a snowbike in Breckenridge or at Copper Mountain. 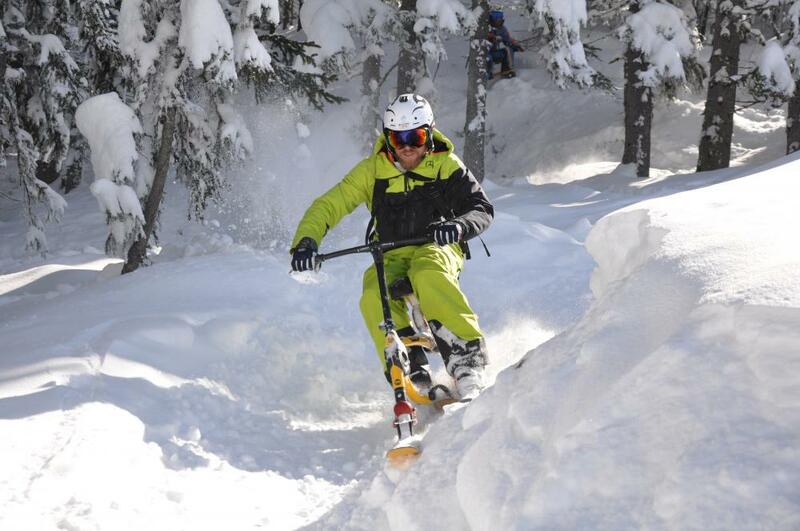 Come join us for Snowbiking on the Mountains. You can learn on your first run down. 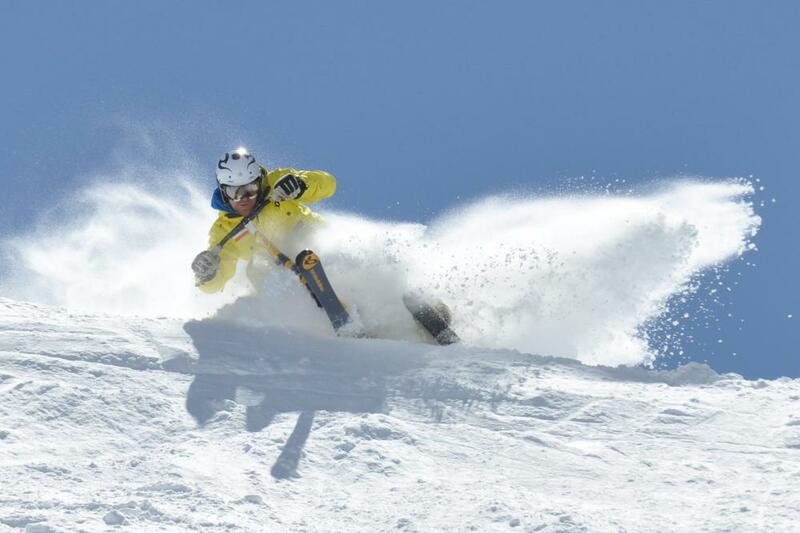 You do need your own lift ticket and ski boots or snowboard boots. 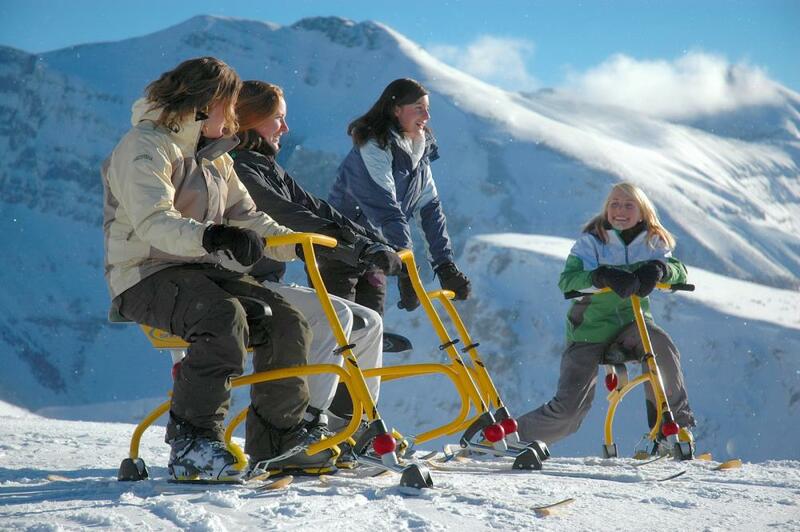 Great for never skiers, those with sore knees, adventure seekers, birthday parties and group rentals. Click on our website to watch our learn to ride video, watch all the videos! Then call to make a reservation or send us an email from contact business. Great fun for birthday parties, groups/reunions, and teambuilding, group discounts for 6+. 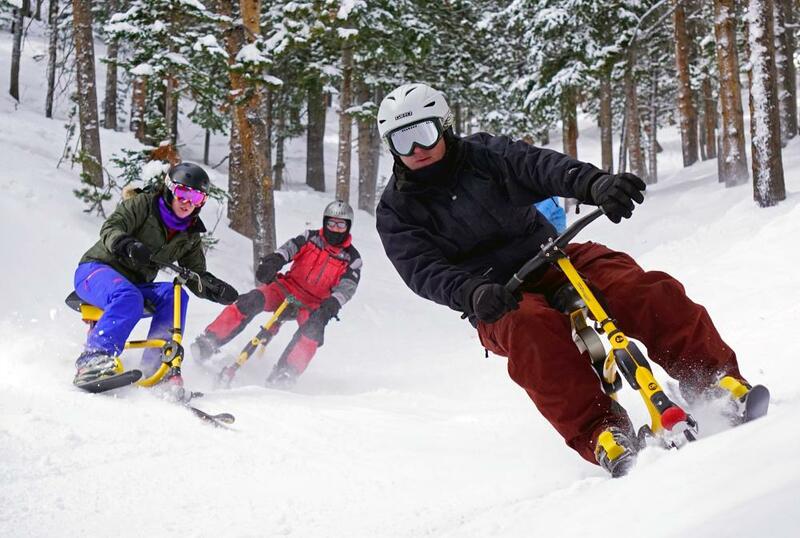 No previous ski or snowboard experience necessary.